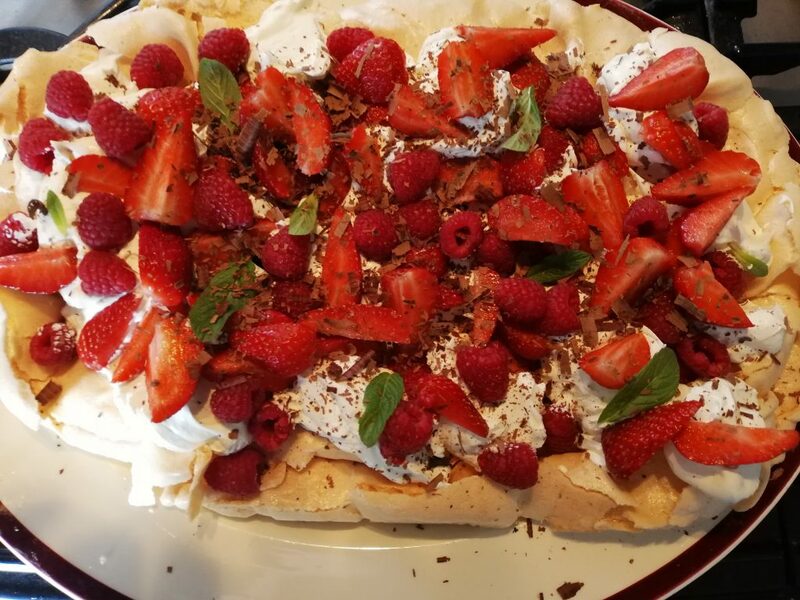 A beautiful crunchy and soft fruity pavlova! 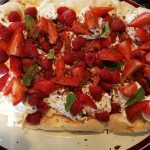 Covered in strawberries, raspberries with mint leaves and curls of dark chocolate sprinkled on top! A real taste of summer!